Moscow: Venezuela’s President Nicolas Maduro said he was prepared to hold negotiations with the US-backed opposition and added he would support early parliamentary elections, RIA Novosti reported on Wednesday. “I am ready to sit down at the negotiating table with the opposition so that we could talk for the good of Venezuela,” Maduro told the Russian state news agency in an interview in Caracas. Last week the oil-rich but economically devastated Latin American country was plunged into uncertainty when the US-backed opposition leader Juan Guaido proclaimed himself “acting president”. The United States, a dozen Latin American countries and Canada have recognised Guaido as interim president, while China and Russia — Venezuela’s two main creditors — have urged non-interference. Maduro has been in charge since 2013 but his re-election in May was branded illegitimate by the European Union, United States and the Organisation of American States. “At the same time, I am protected. 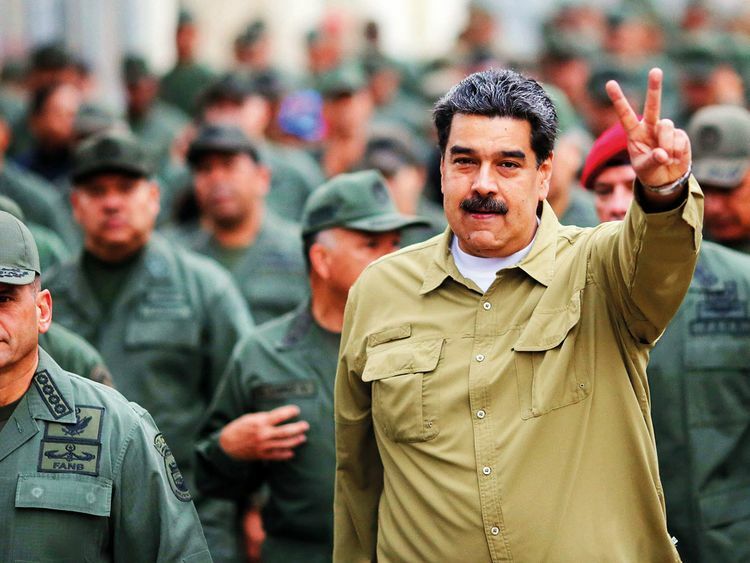 We have a good system of defence in place and moreover, we have more significant protection — this is protection from God who will give me a long life,” Maduro added. He declined to comment on media reports that Russian private contractors had arrived in Venezuela to protect him. Venezuela owes China and Russia billions of dollars and Maduro vowed to honour the debt. He also expressed hope that the two countries would continue to support Venezuela economically and invited US companies to invest in energy and other sectors.